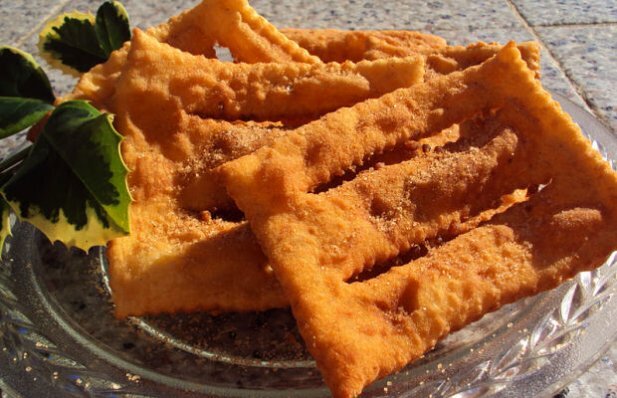 How to make Portuguese angel wings fried pastry (Coscorões). Beat the sugar, eggs and butter. Add the pinch of salt, orange rind, orange juice, aguardente, and the flour and continue beating until the batter is smooth. Cover the bowl and set aside for 1 hour. After 1 hour, pour the batter onto a very floured counter. Knead the dough with enough flour until the batter is no longer sticky. Roll out the dough into 3×5 inch rectangles 1/4 inch thick. Make cuts lengthwise in center of the rectangles. Fry in hot oil until golden brown. Place on paper towels to absorb any grease. Blend sugar with cinnamin in a bowl and coat each Coscorões. 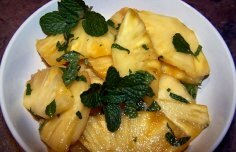 How to make Portuguese pineapple in Port. 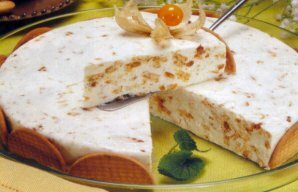 This Portuguese Maria biscuit dessert recipe makes a refreshing, delicious and a to die for dessert. Enjoy!